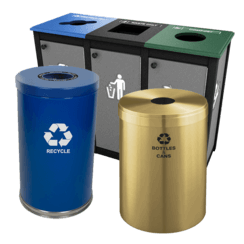 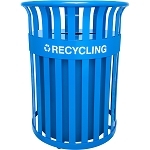 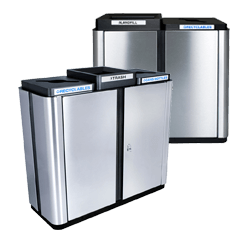 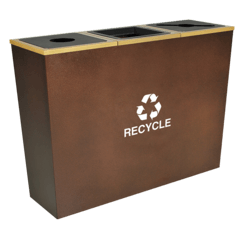 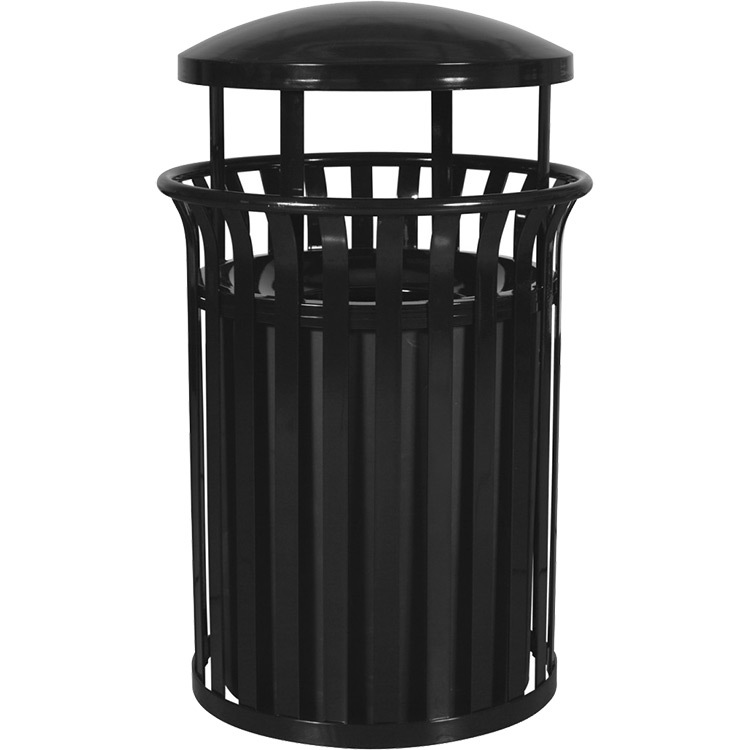 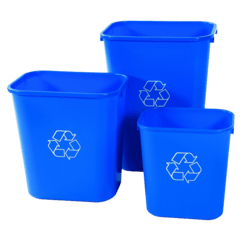 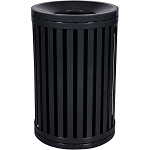 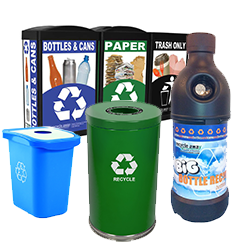 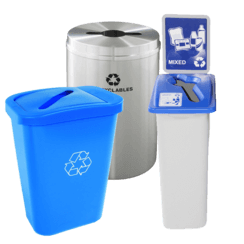 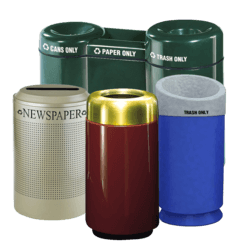 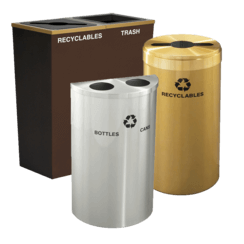 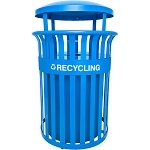 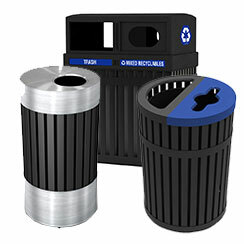 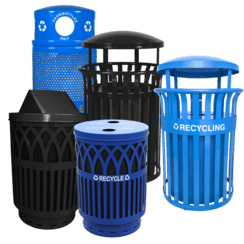 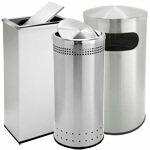 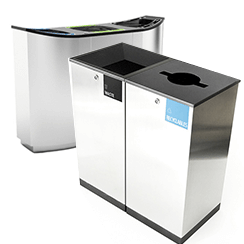 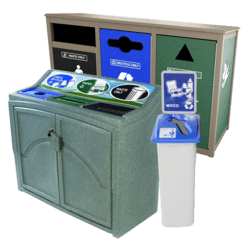 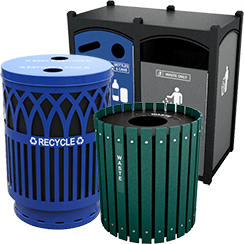 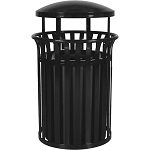 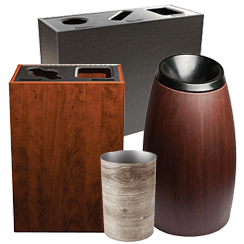 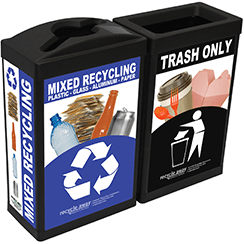 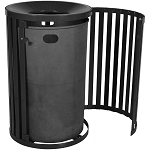 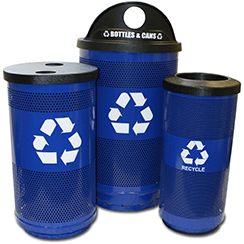 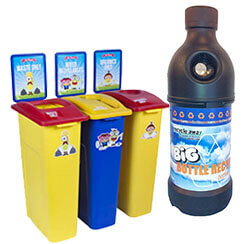 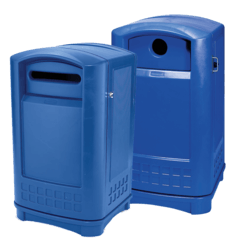 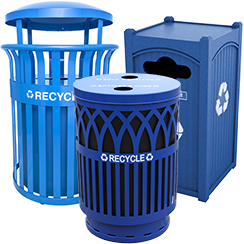 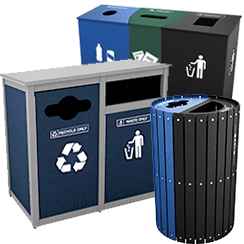 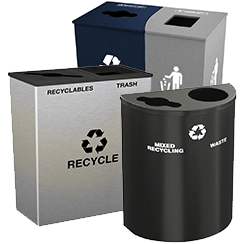 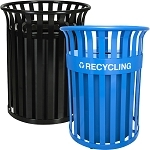 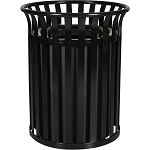 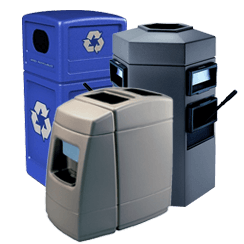 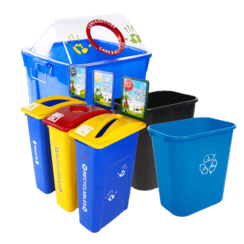 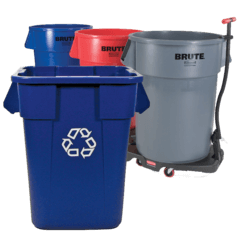 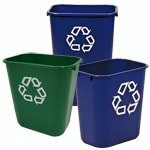 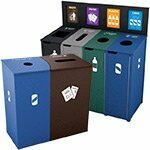 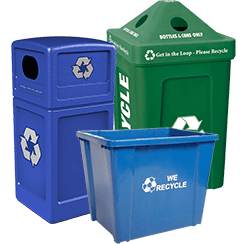 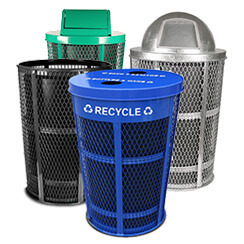 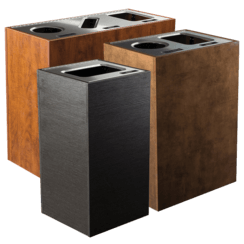 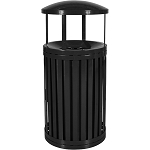 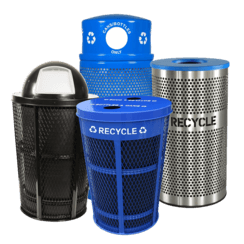 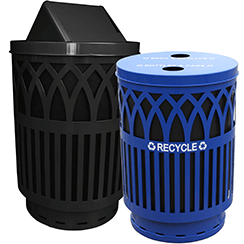 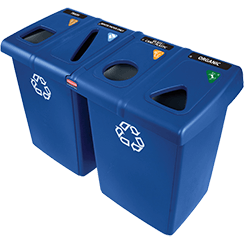 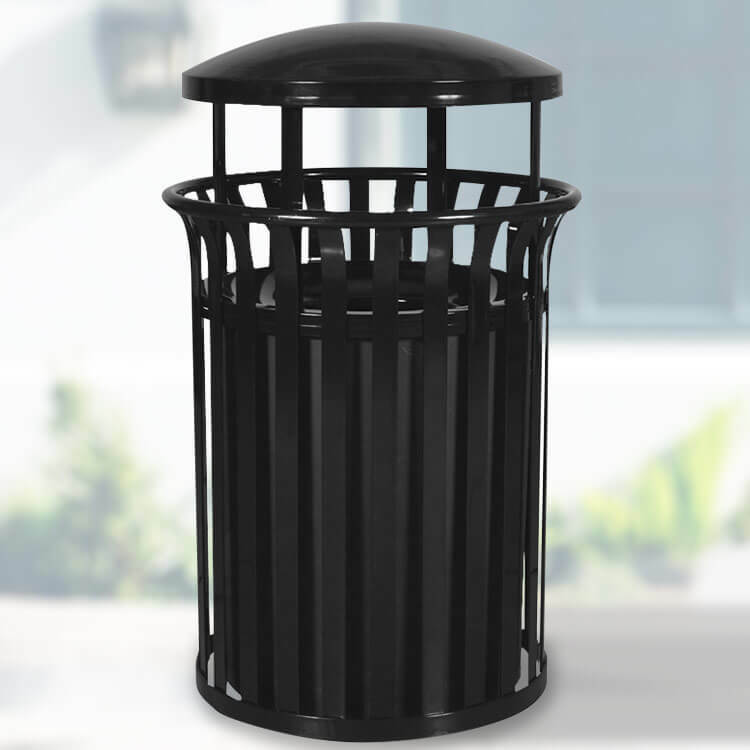 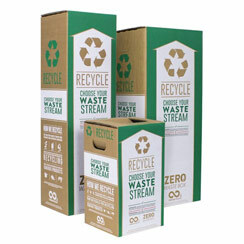 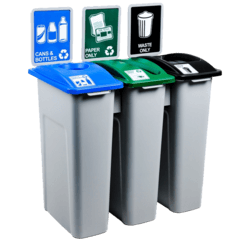 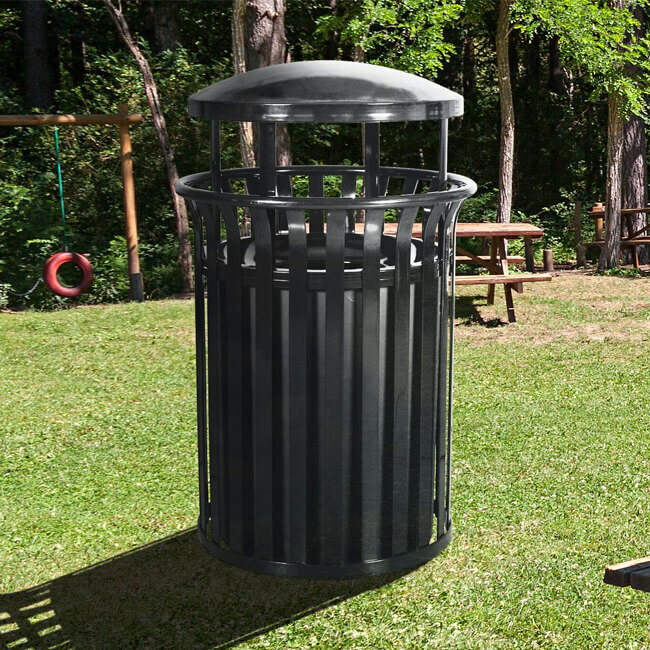 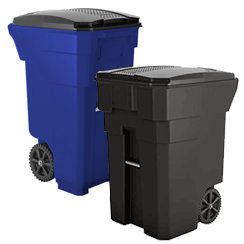 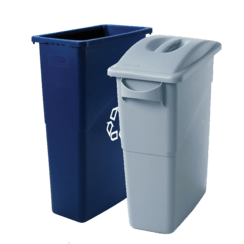 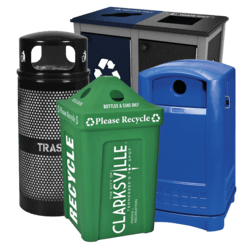 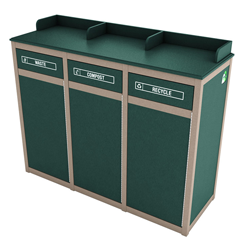 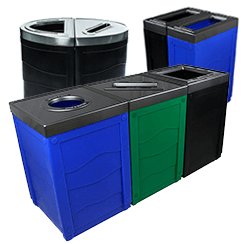 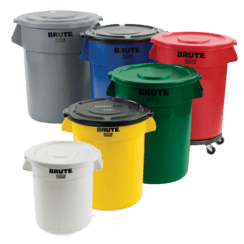 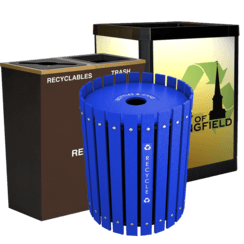 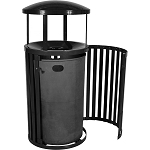 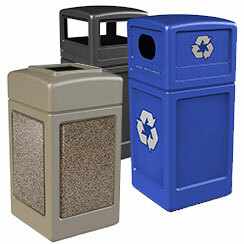 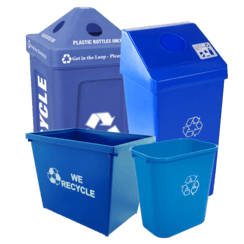 Keep your grounds beautiful with the Streetscape Collection of outdoor waste receptacles. 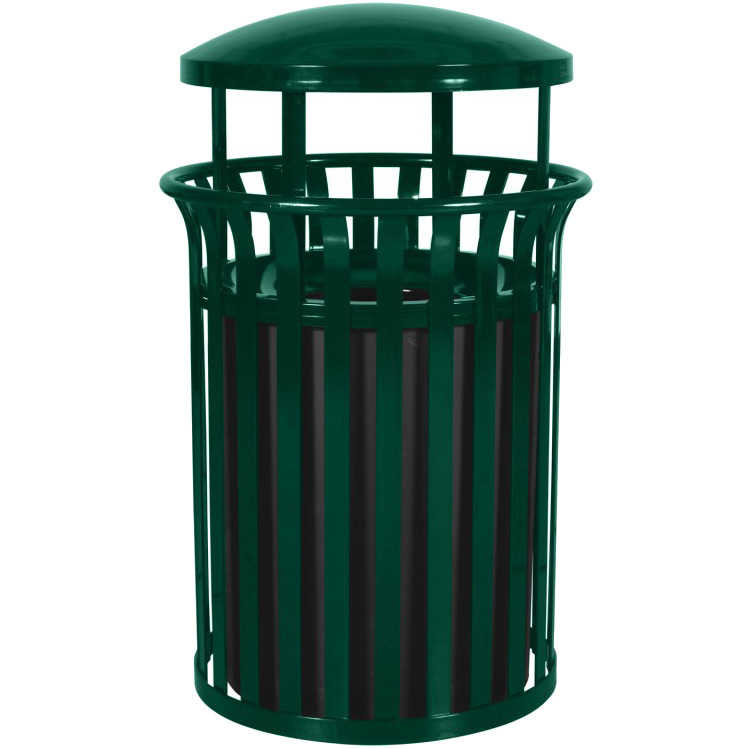 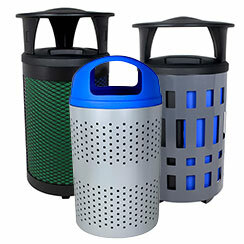 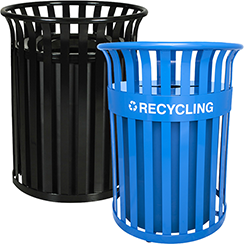 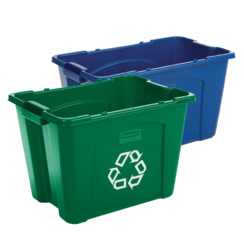 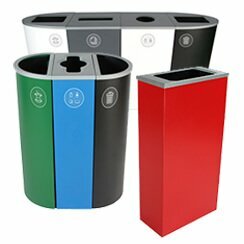 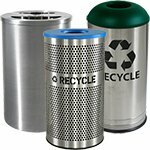 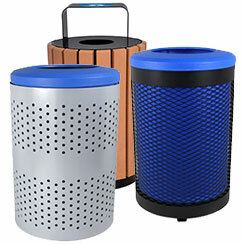 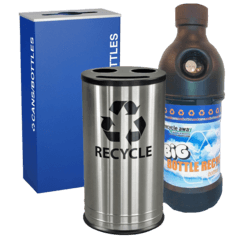 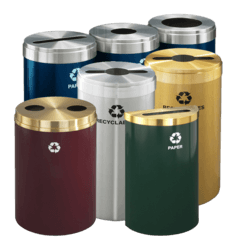 These durable all-metal containers are perfect for municipal centers, parks, campuses, or any other outdoor setting. 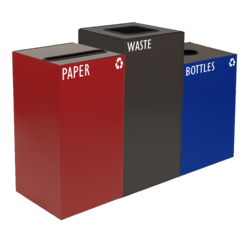 Unlike many similar models, every Streetscape container comes with adjustable leveling glides the keep the unit stable on uneven surfaces. 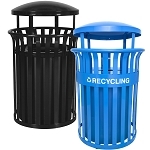 Three standard colors make it easy to match the Streetscape to your setting. 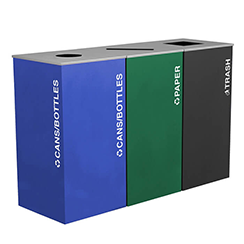 Custom colors are available with a minimum purchase, call 1.866.359.8594 for details.